Solv Electrics is a growing family-run Business based in North London and have been providing electrical services for over 10 years. 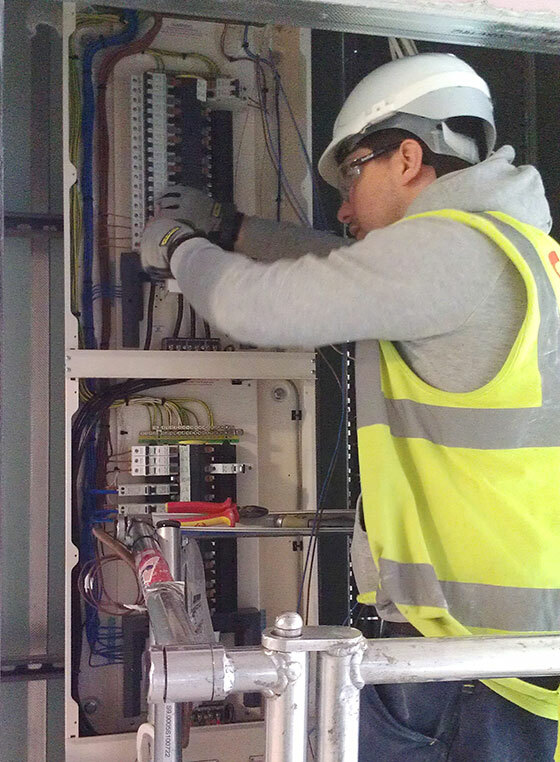 All our electrical wiring installation work is carried out by fully qualified NICEIC electrical installers and is guaranteed for 12 months. We also issue the relevant NICEIC Certification on all electrical works completed by ourselves where necessary. Our client base is predominately from repeated business of satisfied clients, we believe this is due to us providing a great service from start to finish on all our jobs. Whether you are a Business, Homeowner, Landlord, Facilities Manager or just a Domestic or Commercial works enquiry, please feel free to give us a call or just fill out the contact form and we will be more than happy to give you advice and discuss the best and most cost effective option for you.